Watch at 51minutes to hear "Find My Way" on Shameless on Showtime! Check out our LIVE Remix video of "Find My Way" (GRAMR Remix) in the video section! It's a sneak peek of what everyone can expect at our June 13th House of Blues show! Check out our media section for some behind the scenes photos of the band in the studio! 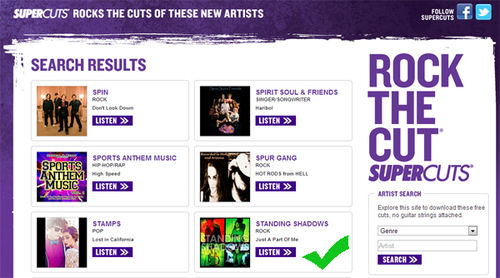 We’re giving away music for SuperCuts Rock The Cut! 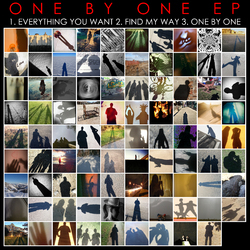 Tons of music from hundreds of artists, all for free. Check it out and grab some new music — no guitar strings attached! Visit our SuperCuts page HERE! "Everything You Want" has been added to Songster! Visit www.playsongster.com to learn how to remix this tune by us! "Everything You Want" Music Video! Click to watch the new "Everything You Want" Music video!